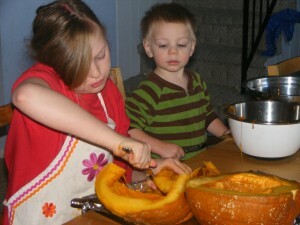 This year I am so thankful that my girls are getting big enough to be a great help preparing our Thanksgiving Feast! This is similar to the Alton Brown version I usually make except you cook it at 500 degrees the whole time but put water in the pan underneath. I put an onion, apple and fresh herbs (sage, thyme, & rosemary) in the cavity. We roasted a 23 pound bird in 1 1/2 hours & it was so yummy! Crispy skin on the outside & juicy but cooked on the inside! Everyone enjoyed this but it was a little dry. I think next time I will double the broth. 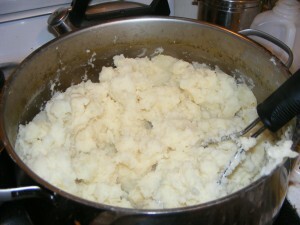 I cook the sweet p otatoes then mash them with butter, a little orange juice and pumpkin pie spices. We then put the mixture in a 9 x 13 pan and top with mini marshmallows. Bake for 30 minutes at 350. 1potato made this recipe this year. 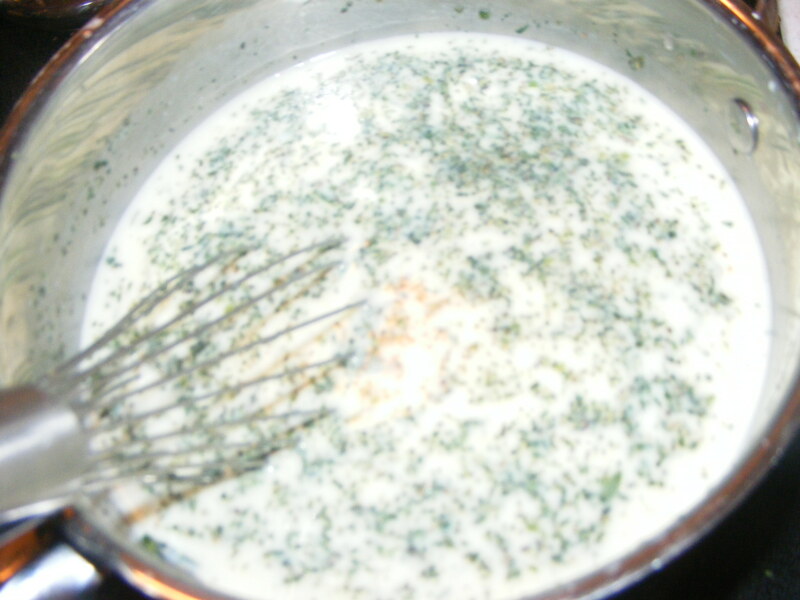 We made our own white sauce instead of using cream soup and added some sour cream to thicken it up. Then we mixed in greens beans that we boiled for 5 minutes and some fried onions. Baked for 30 minutes at 350. These are a family favorite. We baked 4 dozen rolls and saved the rest to make cinnamon rolls later. Grandma brought the applesauce and cranberry sauce. We roasted a pumpkin we grew this year but it didn’t taste very pumpkiny. I’ll have to post this recipe separately sometime. It is a wonderful recipe that uses 4 pounds of apples in 1 pie. It’s a little extra effort but so worth it! Apple Cider from my uncle’s apples and my cousin’s apple cider press. YUM! We had a wonderful day as a family and enjoying the fruits of our labor. We were able to incorporate many things that we grew ourselves and made ourselves! Thank you Lord for the abundance you have provided for us and the time we had to spend as a family working and enjoying the day together! One of the best tools for investment cooking is a crock-pot. With this simple appliance you can get lots of work done with very little effort. It usually takes 15 minutes of prep time to prepare a meal for the crockpot and you can choose when the best time is for you. I usually prepare dinner just after lunch. It is amazing how much better the evening goes when dinner is all ready. 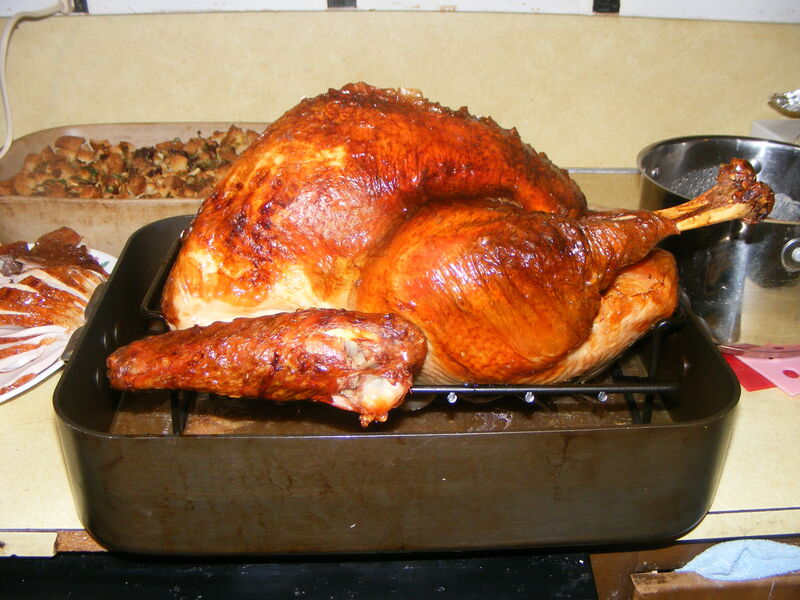 Crockpots are especially useful for making beans, cooking whole chickens, a roast or soups. They are an inexpensive tool especially when you consider what a difference they can make in the time it takes to prepare a meal. Almost every time I use my crockpot I have enough for 2 to 3 meals which is even better! If you do not already own a crockpot may I suggest you look for one that has a removable crock. This makes it so much easier to clean! I see that they now have ones with timers which would be wonderful! I would make sure and get a larger version so you can have plenty for additional meals. Mine is a 5 quart and I love it! Fill it 2/3 full for the best results. More than that and it won’t cook properly; less it will cook too fast. Add dairy products and frozen vegetables in the last 30 minutes of cooking. Don’t lift the lid! You lose 30 minutes of cooking time each time you lift the lid to check on the food. When cooking vegetables with a large piece of meat make sure to put the veggies on the bottom so they will cook faster. They generally take longer to cook than meat does. Browning meats before adding them to the crockpot adds to the flavor and look of the meal. Reduce the liquid of recipes you are adapting to about 1 cup. Because of the way crockpots work less liquid is evaporated during cooking and it captures the juices from the foods you are cooking. 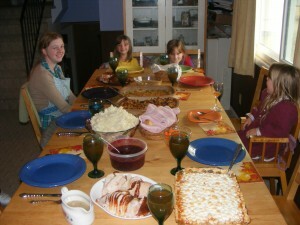 I hope you will take your crockpot out of the cupboard and put it to work for you. Following are some recipes to get you started. This is a great way to have cooked chicken for other recipes. Rinse and dry the chicken. Cut up the onion and put half of it on the bottom of the crockpot. Put the rest of the onion, the celery and garlic cloves inside the cavity of the chicken. Salt & pepper the outside to taste. Put it in the crockpot. (If the chicken is frozen put a 1/2 cup of water in the bottom of the crockpot to act as a buffer.) Cook on high for 4-5 hours or on low for 8-9 hours. Rinse the beans and put them in a bowl. Cover with warm water & add whey or lemon juice. Cover the bowl and leave overnight. Drain and rinse. Place in the crock-pot on low for 8-10 hours or high for 4-5 hours until desired consistency. Cool and bag for the freezer. Throw all of the ingredients (except the garnishes) in the crockpot. Cook on high for 4 hours or low for 8 hours. Serve with a nice green salad and garnishes. Everyone in my family loves this recipe (especially with the cheese and sour cream)!